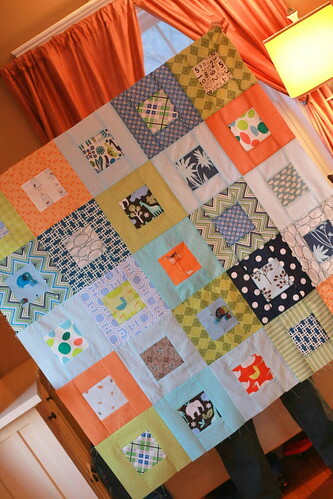 Daniel’s Quilt–Top, originally uploaded by SewLaTea. I’ve been slacking here on the blogging front. Here I will try to do a little catch up. 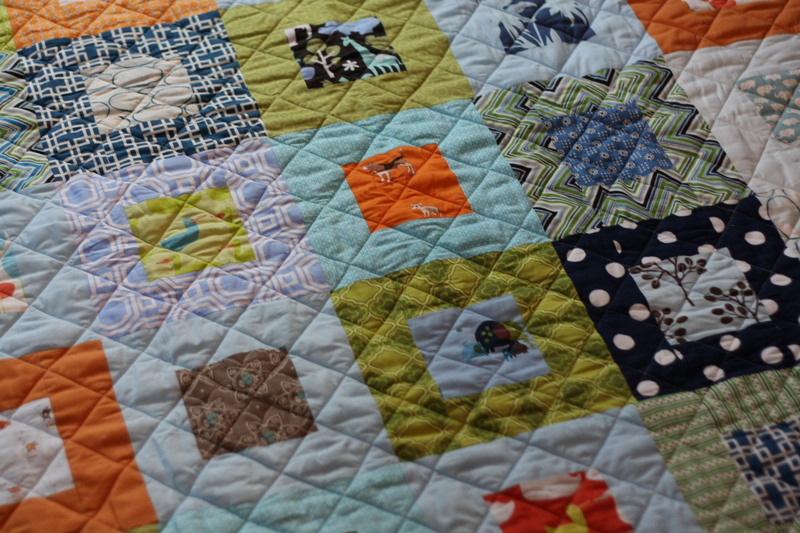 This quilt was finished last month for a beautiful baby boy born to my friend Jill. Her third boy 🙂 I had a lot of fun making this quilt because I picked out some of my favorite “boy” fabrics and put them all together. To make the quilt I simply cut up the fabrics into 5 or 6 inch squares, and then bordered them with 3 inch strips. Easy Peasy, but I love the clean and colorful result. Sometimes less is more, right? I experimented with this quilt (but lets face it, I experiment with EVERY quilt), by using 2 layers of batting (warm and natural) instead of one. I wanted to see what kind of difference it made. I did like the thickness, but even after I washed it, I felt it was a tad too stiff. I’m hoping that with use and washes, it will soften up. I am currently working on my mom’s quilt (more later), but will soon be starting another quilt for a baby boy to be, due next month! !